Dr Livio is only partially correct. According to press accounts, the draft article, “probably intended for a newspaper, was updated in the 1950s but never published.” As I read the description of the article’s contents, however, my first thought was that this sounded a lot like an article Churchill had published during the Second World War. That piece, entitled “Are there Men in the Moon?”, appeared in the Sunday Dispatch on 8 March 1942. 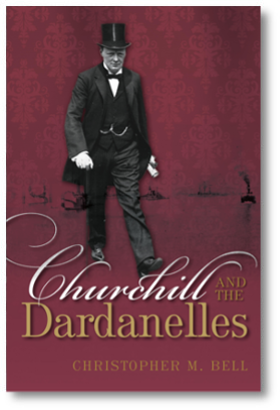 It was subsequently reprinted in The Collected Essays of Winston Churchill (Library of Imperial History, 1974), vol. IV, pp. 493-8. "I for one, am not so immensely impressed by the success we are making of our civilisation here that I am prepared to think we are the only spot in this immense universe which contains living, thinking creatures, or that we are the highest type of mental and physical development which has ever appeared in the vast compass of space and time." The first line seemed to confirm my suspicions. “Does life exist elsewhere in the Universe?” it read “– indeed a fascinating question.” Again, this is identical to the opening sentence in the published article. But I was surprised to see the rest of the page is different. So what is to be made of this new find? Since I do not have access to the full text of the new article, I can only speculate. But it appears to me that the unpublished Fulton essay was likely a first or early draft of the published article, possibly by a ghostwriter, which Churchill had sent to his agent, Emery Reves. Reves may even have offered it for sale, unsuccessfully. My guess is that the article was subsequently reworked, possibly by Churchill himself, and published in 1942 in a slightly different form. Dr Livio may therefore be the first scientist since the Second World War to read this version of the article, which does appear to have unpublished sections in it, but Churchill’s thoughts on the subject of extra-terrestrial life have been in the public domain a long time now. A bit more digging confirms my suspicions. It appears that the article in question is a draft of the one published in 1942. Contrary to press reports, this draft has also been available for quite some time in the Churchill papers at the Churchill College Archives Centre in Cambridge. The version there is nearly-identical to the copy found in Fulton, meaning it has been available to researchers for decades, and for several years now open to anyone at a library with a subscription to the digital Churchill Archive. Finally, I should add that none of this is intended to take away from the content of Dr Livio’s insightful analysis of the contents of Churchill’s article, which deserves to be more widely known. I still have to wonder, though, whether the media would be paying so much attention to this story if not for the mistaken belief that Churchill’s views on the possibility of life elsewhere in the universe came from a “long lost” article.